Contact donald.cory.harvey @gmail.com for additions or corrections to this list. Thanks! Lilli Ann returns to Portland after traveling and teaching in Russia. They will be doing a workshop Saturday, March from noon to 4:30 pm at the Rose City Studios, 1420 NW 17th Ave. Then on a pre-dance lesson at Norse Hall for the the March 31 Waltz Brunch. After returning from teaching 4 days of master classes in St Petersburg, Russia in January, Lilli Ann and Claire's enthusiasm for taking higher level Cross Step material farther afield was renewed. The Russian students loved diving into the finer points of how to be excellent waltzers. Lilli Ann and Claire brought some new, (some West Coast Swing inspired) moves, and also some of their best tried-and-true material. These three workshops will be a sampler plate of the Russian students' favorite, socially leadable moves, and likely a few new things they have up their sleeves. Come kick up your heels, do a few spins (leads too! 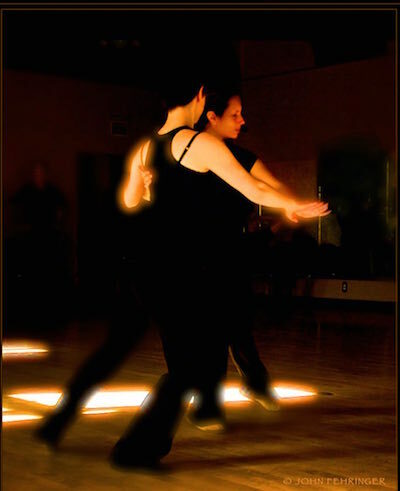 ), follows turning technique and styling, and grab some great techniques for showing your partner a good time when a slow waltz comes on. Prerequisite: Dancing waltz at an intermediate level, or familiar with waltz and an intermediate dancer in at least one other dance. The classes are cumulative as they will reemphasize concepts as they work through the various workshops. 12-1:15- Cross- step waltz- the linear and the rotational. 1:30-2:45- Three moves that emphasize body leading with a nod to individual turning technique and follow styling. We currently have 16 people pre-registered and we are perfectly balances! Pre register at PayPal or pay at the door. Scandieclectic is a dance group motivated by the notion of doing un-choreographed social dancing, mostly waltz, as they do at Argentine vals tango or Waltz Eclectic dances, based on the fundamental traveling rotary ideas of traditional scandinavian folkdances, combined with cross-step waltz--danced to an eclectic mix of traditional scandinavian, folk-waltz, and modern music. Lilli Ann Carey of Dance for Joy in Seattle is a regular instructor for Waltz Eclectic and promotes weekend workshop with out of town instructors such as Joan Walton from Stanford. Random Waltz: Marion Newlevant has been a major part of Waltz Eclectic since its inception. With Random Waltz, she promotes events as a recent "flash dance" at Max stations, workshops and Thursday late nite waltz.